After selecting the table and fields that should be part of the application, the name of the application will be formed by the type of application + name of the table. Ex: grid_orders However it is possible to change the application’s name to any other desired name. Name - Application’s name that is being created, It can not contain special characters. Localization - Application’s Language. The project’s default language will be automatically selected. When select two or more tables, the tab “Relationship” will be displayed. In this tab we can see the relationship created between the tables, where we can edit the related fields. When we click in a link, in the screen above, it will displayed the related field’s edition form, as you can see in the image below. In this tab will be displayed the fields that are going to be created in the application, also its labels and datatypes. We can make define some settings here like changing its labels and datatypes. 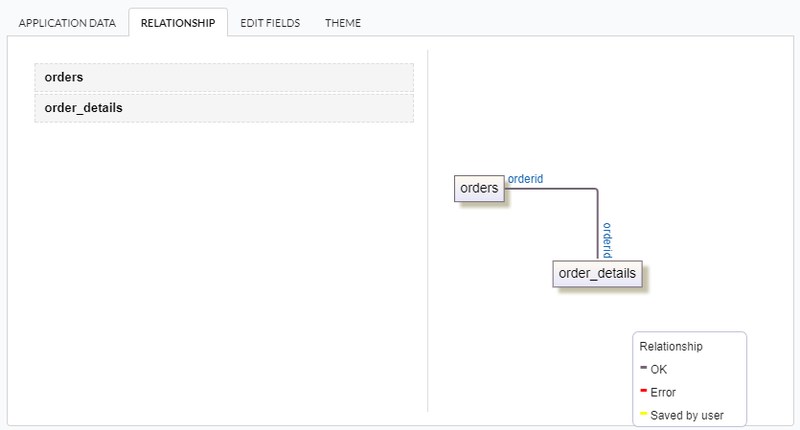 Fields - Name of fields stored in the database. Label - Name of fields displayed in the generated application. 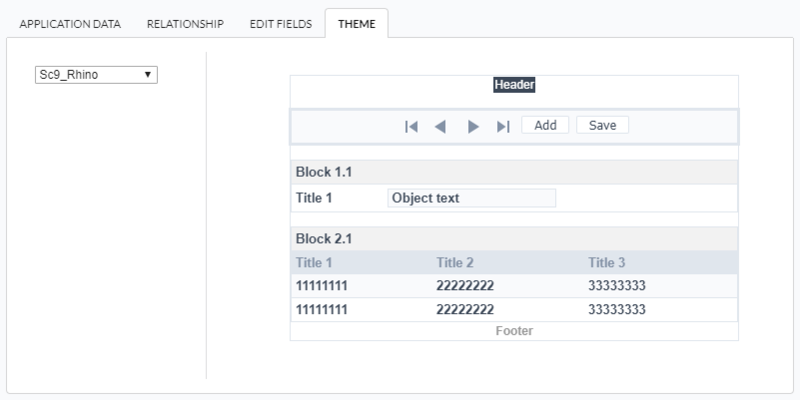 Grid - It defines the available fields in the grid. Search - It defines the available fields in the search.